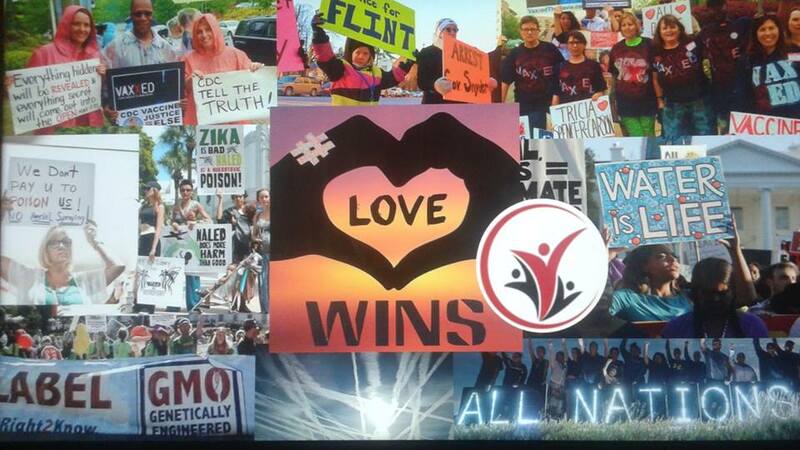 This lawsuit, Love vs State of CA (where love always wins in the end! ), against SB277 is the only lawsuit based only on three constitutional tenets that have been upheld by the Supreme Court – the right to deny medical treatment (bodily autonomy) upheld by the US Supreme Court, the right to raise a child as one sees fit upheld by the US Supreme Court, and the right to a free and public education upheld by the CA Supreme Court. We specifically went with this case because it does not matter what the judge's opinions on vaccines are, she should rule it unconstitutional, because it is. The brief is easy to read and you can do so here. PLEASE SHARE far and wide, and, in this time of giving, please also consider donating to support this lawsuit and all the other important work AVFC is doing: www.avoiceforchoice.org/donate. This is even more necessary given the introduction of SB18. Both SB277 (Vaccine mandates) and SB18 (Children's Bill of Rights – take away parental rights) will affect the whole country. If everyone on this list gave $10/month we would reach our goal of $150,000. Thank you in advance. MOUNTAIN VIEW, CA, December 12, 2016 - A group of California plaintiffs, led by A Voice for Choice, Inc., have filed suit challenging California's extensive vaccine mandates, one of the broadest in the nation. With the passage of Senate Bill 277 in 2015, California now requires kindergartners to get twenty-five doses of vaccines – including for a sexually transmitted disease – before they can attend school. Unlike previous suits, this lawsuit eschews much medical or scientific discussion, and focuses instead on constitutional rights. The United States Supreme Court has repeatedly held that Americans enjoy a right to bodily autonomy, which includes the right to refuse unwanted medical treatments. The Court has also repeatedly held that parents have a fundamental right to direct the upbringing of their children. And the California Supreme Court has held that a public K-12 education is a constitutional right in the state. This interplay of rights is the centerpiece of the suit. "Our case is based on cherished principles," said A Voice for Choice's founder, Christina Hildebrand. "The state cannot force you to give up one fundamental right if you wish to exercise another." Hildebrand refers to the Unconstitutional Conditions doctrine, a well-established concept within constitutional law that forbids the government from conditioning one right upon another. Courts usually strike down such conditions decisively, viewing them as improperly forcing citizens to choose between a rock and a hard place. An example would be making protesters consent to intrusive searches before they could gather. Such a law forces individuals to choose between their First Amendment rights to free speech and free assembly, and their Fourth Amendment rights against unreasonable searches. In the past, suits in other states challenging vaccine mandates have faced an uphill battle, largely due to a dichotomy in case precedent. On one hand is century-old Supreme Court precedent stating that a city could require residents to be vaccinated for one dangerous disease (smallpox) or pay a small fine, during a deadly outbreak. On the other hand are the Court's repeated affirmations of individuals' rights to medical autonomy, consistent with the expansive view of this fundamental right in recent decades. The older strand of cases has been applied to allow forced sterilization for mothers who the state of Virginia deemed too dumb to have children. The newer strand of cases, however, are the pillars of much of modern constitutional jurisprudence, including, for example, a woman's right to control what happens to her own body. And a further problem for the state is that a public K-12 education is a fundamental right under California's constitution. Thus, the overly broad vaccine mandates unreasonably force Californians to choose between exercising their right to bodily autonomy and attending public school. "It does not matter what your opinion is on vaccinations, when the constitutionality of this law is evaluated, it is clear this law is unconstitutional and therefore should be revoked," said Christina Hildebrand. The case, Love v. the State of California, was filed in federal court in the Central District of California. The Memorandum of Points and Authorities in support of the Plaintiff's Motion for a Preliminary Injunction, which contains all of the information on the principles and cases discussed in this release, can be accessed by clicking this link (www.avoiceforchoice.org/sb277-litigation/). 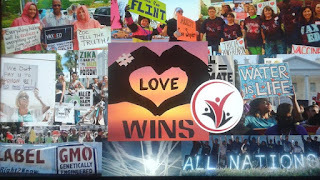 Christina Hildebrand, A Voice For Choice, Inc.
A Voice for Choice, Inc. is a non-profit 501(c)(3) organization that educates and advocates for informed choice and transparency of what goes into people's bodies, be it air, food, water, pharmaceuticals, etc.